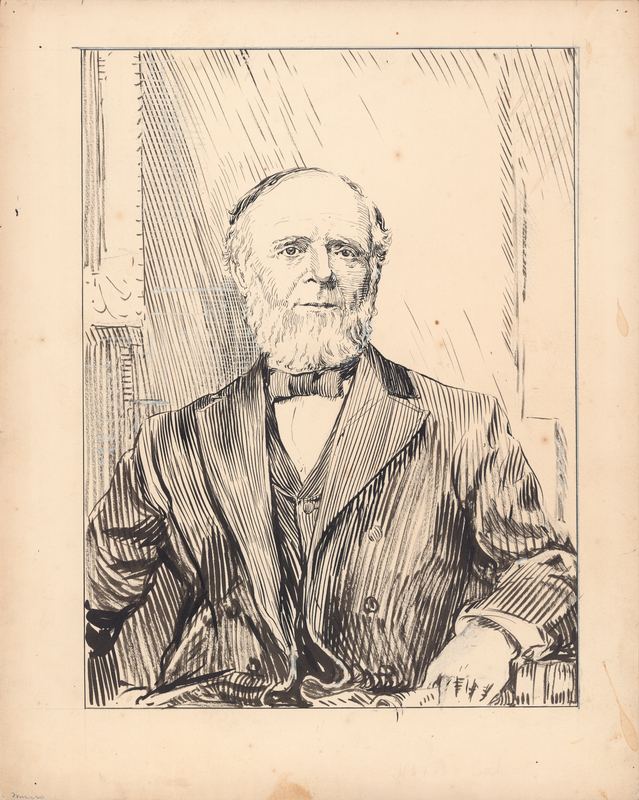 Item is an Arthur Lismer portrait of George Munro rendered in pen and ink on illustration board and commissioned for One hundred years of Dalhousie, 1818–1918 (1920). 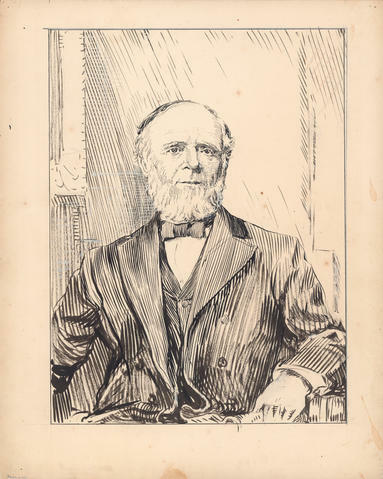 The image was reproduced in D.C. Harvey, An introduction to the history of Dalhousie University (1938) and P.B. Waite, The lives of Dalhousie University, volume one, 1818–1925 (1994). Item has minor stains, foxing and tack holes along the edges.